While representatives from around the world meet in Bonn, Germany, this week to coordinate international efforts to address global warming and climate change, progress in the United States has hit a “speed bump”—the Trump administration. Despite White House moves, Mr. Misleh argues, “The path ahead is pretty clear. “What we need to do is just continue to live out the challenge of ‘Laudato Si’,’ which is to examine our relationship with the earth, with God and with each other to see how we can become better stewards of this gift of the earth.” And, he adds, to be “more cognizant of our impacts on the earth” and on the earth’s most economically and ecologically vulnerable people. Bad news on climate change surfaced a short time before delegates—presumably making diligent use of carbon offsets—flew into Bonn. According to the United Nations weather agency, levels of carbon dioxide surged at “record-breaking speed” to new highs in 2016. 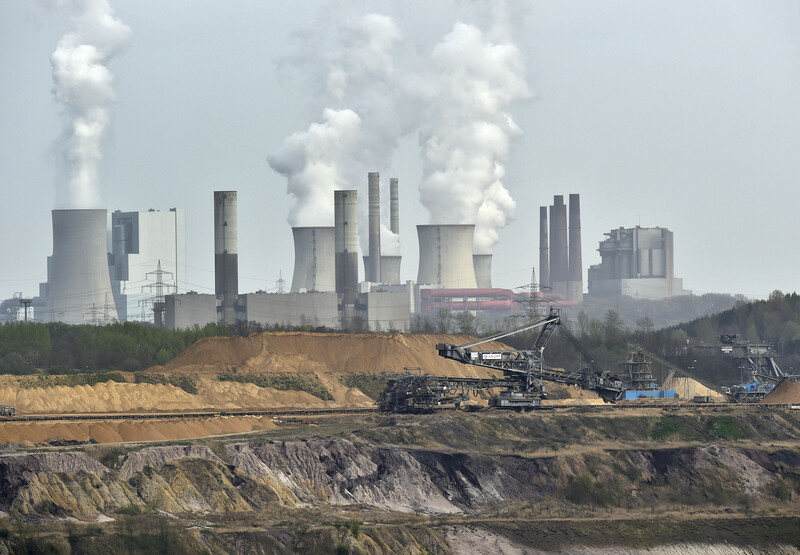 The news was especially disappointing because worldwide carbon emissions had remained flat in 2014 and 2015, offering the hope that a stabilization of carbon emissions had been achieved. According to the terms of the Paris agreement on climate change, worldwide carbon emissions must reach “net zero” by 2050. The world is racing to prevent an increase of more than 2 degrees Celsius from pre-industrial-age global temperatures. Exceeding that level, according to many climate scientists, would put the planetary climate on the wrong side of a perilous tipping point. The meetings in Bonn suggest the world is no longer waiting on the United States to do—or even say—the right thing on climate change. Syria, a holdout on the 2015 Paris climate accords, became a signatory to the agreement just before the Bonn gathering, known as COP23, opened. That move means the United States is the only nation on the planet not officially in step with Paris. In one of his first official acts, President Trump withdrew the United States from the agreement. That withdrawal process cannot be completed until 2020, but the gesture has significantly neutralized U.S. authority on the issue. U.S. representatives in Bonn, in fact, had a tough two weeks, frequently heckled and interrupted by protesters. In defiance of the Trump administration’s abandonment, Mr. Brown has promised to meet Paris Accord commitments on greenhouse gas emissions, but protesters remained riled about California’s overall impact from the supply side. The state is the nation’s third largest producer of natural gas and oil, and none of the governor’s laudable efforts to reduce demand in California addresses that contradiction. Another U.S. delegate was similarly hounded by protesters after he joined a Bonn panel as perhaps COP23’s sole promoter of “clean” coal technology. That reversal will be a hard sell to an administration that has been on a climate change rampage in recent weeks. In early October, Environmental Protection Agency chief Scott Pruitt rescinded the Obama administration’s Clean Power Plan, a signature effort to reduce greenhouse-gas emissions from the U.S. electricity sector by 32 percent from its 2005 peak by 2030. And on Oct 22 the E.P.A. canceled the speaking appearance of three agency scientists who were scheduled to discuss climate change at a conference in Rhode Island; the same day it removed dozens of online federal resources dedicated to helping local governments address climate change. In fact, the phrase “climate change” cannot be located in the agency's draft four-year strategic plan, released in early October. Despite these and other moves to turn back Obama administration policies on climate change or to create obstacles even to basic research on the issue, the government’s National Climate Assessment was released by the Trump administration without comment on Nov. 3. That mandated report reaffirms that climate change is driven almost entirely by human action and warned that sea levels could rise as high as eight feet by the year 2100, as average global temperatures increase by just a few degrees above pre-industrial norms. That reassertion of the basic science on climate change comes at a time when the United States “has abdicated its leadership in the international arena,” according to Mr. Misleh. But other nations are stepping forward. On Nov. 15 French President Emmanuel Macron said that France would cover the amount the United States had been expected to contribute for climate science research to the U.N.’s Intergovernmental Panel on Climate Change, a payment halted following the Trump administration’s reneging on the Paris accord. He argues that too many individual and civic actors are discovering the benefits, both economic and ecological, of efforts to reduce carbon footprints—a goal a Catholic Climate Covenant program, “Catholic Energies,” helps facilitate. When saving the earth is compatible with saving money, the appeal is hard to resist, he explains. Where are the numbers? I thought the United States was the world leader in reducing CO2 emissions and Germany where the conference took place was a major emitter. And China continues to grow dramatically in emissions. Emissions in the US are only slightly above the emissions in 1990 despite there being 75 million more people in the US now and the GDP has risen from $6 trillion to $18.6 trillion. Hug a fracker and thank them for this result. I wonder how much Putin is paying Trump to ruin the USA. This article also appeared in print, under the headline "World leaves U.S. behind on climate change," in the December 11, 2017 issue.